Buggies and Babies Blog: Bumbleride Flite Giveaway!! 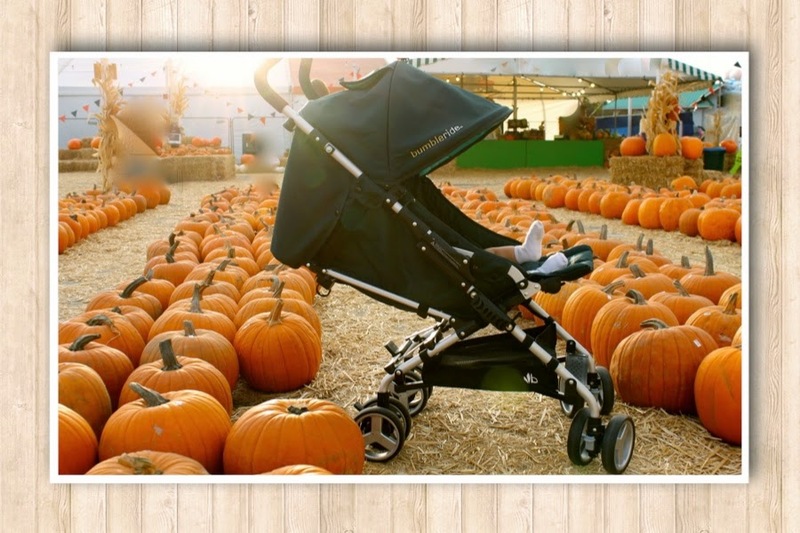 This Sunday October 19 2014 follow our blog here or on our Facebook page to enter in our giveaway for a Bumbleride Flite stroller! Contest begins Sunday October 19 and ends Friday October 24 2014! Our family loves the Bumbleride Flite! Since it was released in 2010 we've owned 2 and now we want to give one away to one of our lucky followers! The Bumbleride Flite is a very lightweight umbrella type stroller that is well known for its smooth ride, smart functions, and stylish looks. You will really appreciate how well this Flite maneuvers around town - smooth and easy! 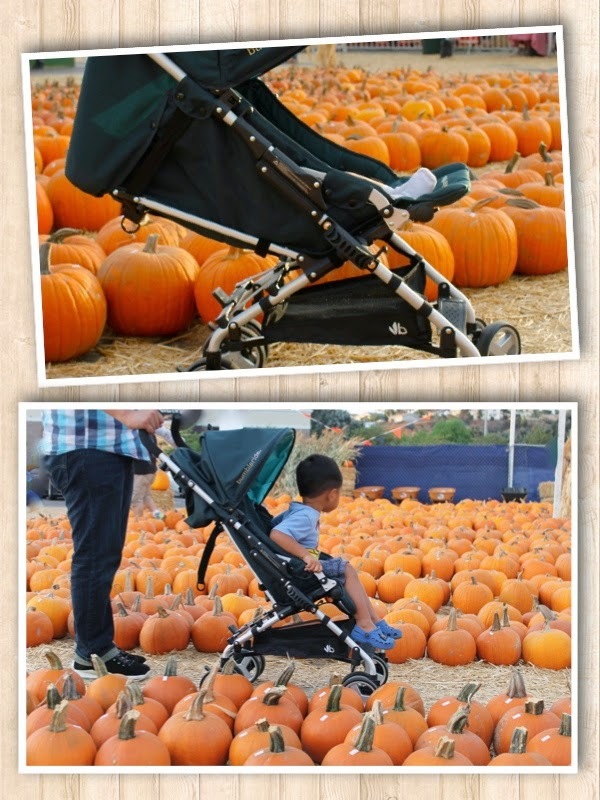 We recently took our Flite to the Pumpkin Patch here in San Diego with our kiddos. At our local pumpkin patch the ground is full of gravel and hay - its everywhere! Despite the bumpy road our stroller moved along amazingly. The suspension in the Flite wheels is something you would find in a jogger or all-terrain stroller - it's great for all types of terrains. As you can see I had our 9 week old as well as our 2.5 year old riding in our Flite. The Bumbleride Flite like other Bumbleride models is great for newborns. Whether you want to use the car seat adapter and attach a compatible car seat or have your lil one lie flat in the seat, the Flite will be comfortable for your baby and you too. Another favorite feature of the Flite is the very small compact fold! We have a big minivan so we can fit a big stroller in it. However, with all the other kids' items we have to pack for an outing backpacks, bags, blankets, clothes, baby carriers, diaper bags, lunches I don't have space for our everyday stroller! This makes the Flite perfect for those who are looking for a high quality stroller but don't have the space to pack a lot - whether you have a small trunk space or just overpacked. The Flite is also great for traveling as it holds a lot - up to 50 pounds. Then when its time to board the plane, hop in a taxi, or catch a ride on a trolley the Flite folds up small. If you're looking for a stroller that's lightweight, great for everyday use and accommodates a newborn yet will grow with your child the Flite is for you! If you've got an amazing everyday stroller but are looking for a lightweight, umbrella stroller with high quality design and function the Flite is for you too! Sturdy design - it can hold up to 50 pounds! Sounds like an awesome stroller! My 5 month old would love this stroller. 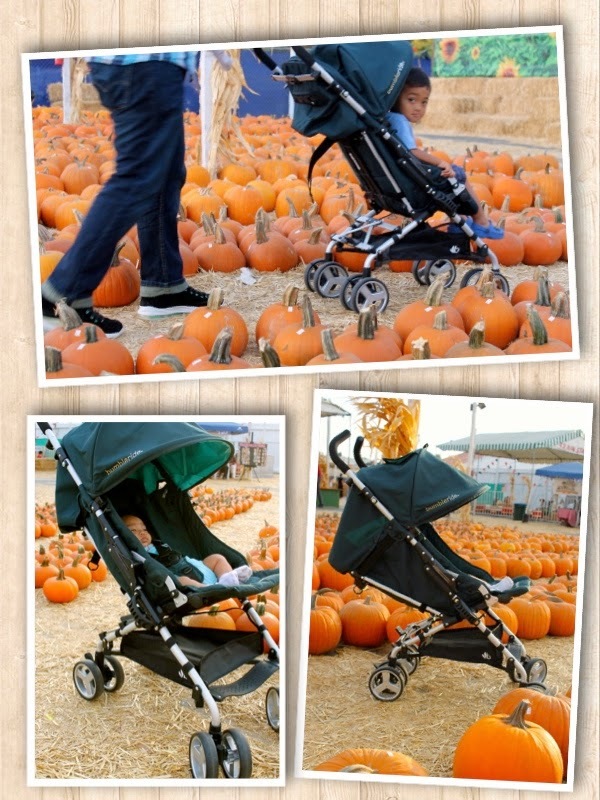 What an awesome giveaway and opportunity to win an awesome stroller! Enter today to win a Bumbleride Flite Stroller! Ready to get started with cloth diapering? !